Franklin Pierce University (FPU) wanted to reduce operating expenses and create a fully-managed document output system to increase efficiency and lower maintenance costs. Going “green” by lowering carbon emissions and reducing paper, toner and electricity consumption was a secondary objective. FPU lacked the ability to accurately track printing and copying costs and had no means to centrally manage all their output devices. 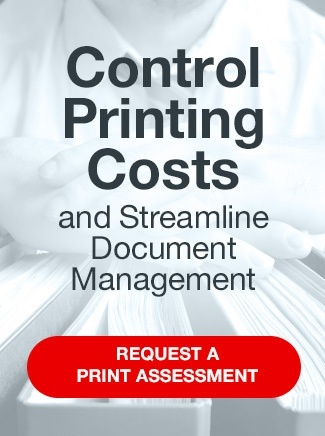 A comprehensive print audit performed by SymQuest® found more than 150 existing devices, mostly stand-alone ink jet and laser printers with some stand-alone fax machines and scanners. To complicate the issue further multiple vendors serviced different equipment. Upon completing a thorough analysis, SymQuest designed a totally new output environment removing 104 machines and adding 34 multifunction units in key locations. Paper consumption was immediately reduced by setting doublesided printing as the default on all machines. Complete integration of Equitrac and CBORD systems introduced the ability to manage usage and cost chargeback. Usage above a set allowance could now be charged back to students individually. (Equitrac is a leader in intelligent print tracking and cost recovery solutions and CBORD provides campus and cashless card systems).